Now that spring is finally on the horizon, we can finally start thinking about florals, dresses, and most importantly, baring our ankles again. If you can't wait to leave your winter boots in January, read on to see our round-up of the best spring shoes out there right now (no heel required). 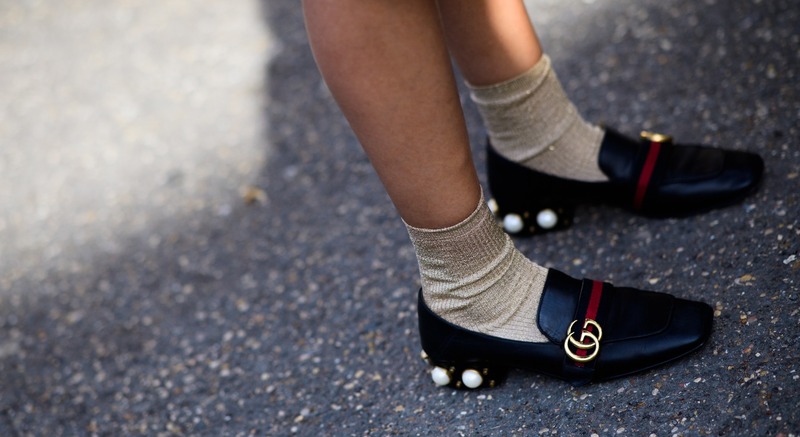 The classic loafer is a no-brainer when it comes to spring-time fashion. Gucci leads the way with its Brixton and Jordaan styles, but Christian Louboutin and Tod's aren't far behind with their versions of this wardrobe staple. Incredibly easy to wear to work as well as on the weekends, the loafer no longer just comes in the black, stiff leather we're all used to. Branch out with colourful suede or shearling styles. Who doesn't love a brogue? Whether you go for a traditional lace-up style or a monk-strap pair, a brogue is the perfect way to transition from cold weather to warmer days. Wear an all-white style to the office and keep chunky or studded styles for weekend walks. The mesh trend is starting to take off for the new season, and no style is leading the charge more than the mesh ballet flat. Equally perfect with feminine dresses as with skinny jeans and a blazer - this is one spring shoe style you're going to see everywhere. Re-invented by last summer's ballerina trend - this season's tie-up flats are edgier and more colourful than ever before. Stay true to the original and go for a punk-inspired Miu Miu version, or mix things up with The Row's sumptuous, velvet Elodie. Who said flats had to be boring? If last year's spring/summer trend was furry mules, this year's is definitely feathery flats. Coming in a whole host of styles and colours, this textured look is just the thing to brighten up your wardrobe after a long winter of wearing black boots and monochrome looks. We love Miu Miu's over-the-top feathery style for a statement day-look, and Sam Edelman's Reina pump for an elegant evening shoe with a twist. Forever coming back in style, the polka-dot flat is made to be worn in slide form. Effortlessly chic paired with jeans and a button-down shirt, there's limitless ways to wear this look so there's no harm in picking up a pair in both black and blue. 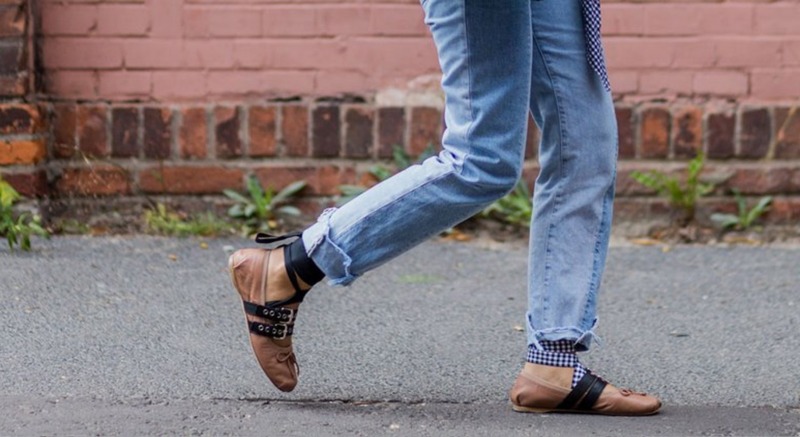 Sorry heels, our hearts belong to flats this spring. No flat shoe round-up would be complete without mentioning sneakers. This season's take on the staple is futuristic: think Nike Huaraches, Stella McCartney's Eclipse and Alexander Wang's modern styles. Wear your pick with everything from tailoring to midi dresses for effortless style that won't leave your toes in pain.